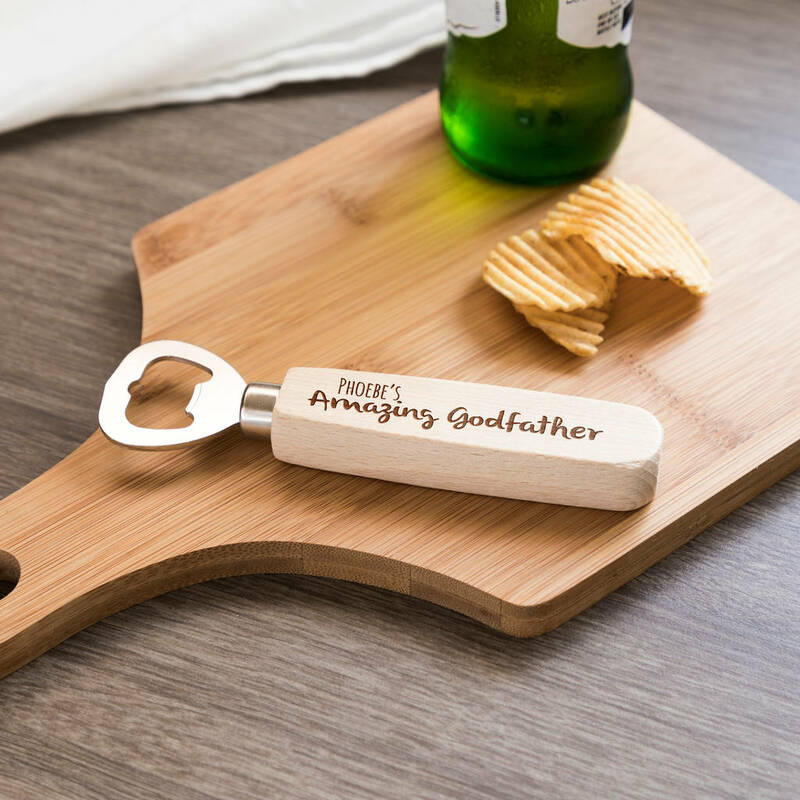 Thank your little one's Godfather with this personalised bottle opener, a great keepsake gift for any guy who enjoys a bottle of beer! The bottle opener is laser-engraved with the personalised name of the godchild followed by "Amazing Godfather" and would make a unique gift. The design is laser-engraved into the wood for a high quality, permanent finish. Personalise the bottle opener with any name. Please provide the required personalisation text in the box provided, entering it exactly as you would like it to appear on the product e.g. "Phoebe's". The bottle opener is made from solid beech. As this is a natural, bare wood product, slight differences may occur in the grain of the wood, adding to the character of this unique product. The bottle opener measures 14.5cm long x 4cm wide x 1.5cm thick.